Neal Morse likes to keep busy, and a simple look at his resume speaks for itself: co-founder of the progressive rock band Spock’s Beard (which he left in 2002), member of supergroups Transatlantic and Flying Colors, as well as a solo career that over 19 studio albums goes from pop to prog to worship music. So it’s no surprise that 201 was a busy year for the talented multi-instrumentalist: he started 2014 with a new Transatlantic record and tour, did it again with Flying Colors, headed out to Progressive Nation at Sea, held his own festival (Morsefest) and now releases a new album before taking the material on the road. I had the chance to chat with him ahead of the February 10th release of “The Grand Experiment” and explore the songwriting process for the album. With so many projects going on, one might think it’d be a challenge to keep so many plates spinning, but Neal keeps a clear vision of each of his babies. When I asked if we can expect to hear this tour-de-force piece live when the band hits the road, Morse unequivocally answered “Oh yeah! Absolutely. It’s a great one, I think.” I think a lot of fans will be pleased by this choice. 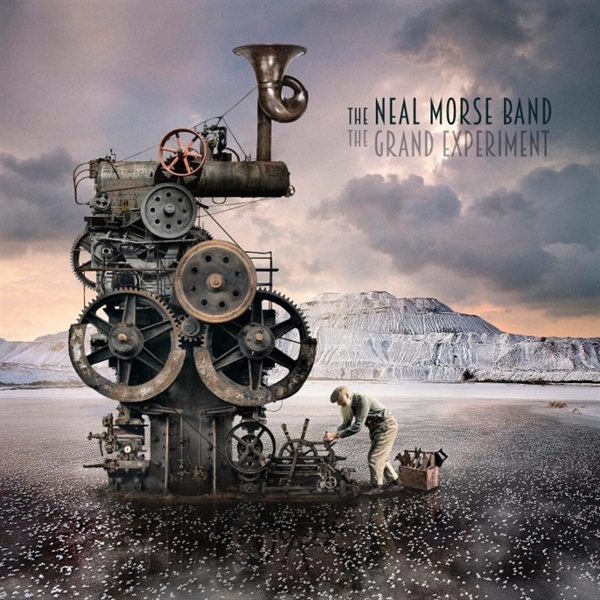 The constant factor in most Neal Morse projects is drummer Mike Portnoy, whose workaholic schedule make the busy Morse look like a slacker. Neal describes their partnership in a very yin/yang way: “It’s fast and furious! We both like to do a lot, and we like to do it pretty quickly. We make a good team I think. He’s strong in the big picture, and I’m strong in the smaller things and the details. So I think that we work quite well together.” His distinctive drumming style is a big factor on this album, and from a compositional point of view is probably one of his best performances ever. Portnoy recently described the album as “IMHO, pound for pound this line-up is as strong as any prog band out there, and this very well may be the PROG album of 2015!”, and he might just be right even though we still have most of 2015 to go. But I asked Morse if he ever felt limited by the prog rock tag. Over the years, Neal and his band have recorded many great cover songs, and the Deluxe Edition includes a cover of “MacArthur Park”, a song that I was vaguely familiar through disco queen Donna Summer’s version. But the band used the blueprint of the original version by Richard Harris and turned it into a great prog song.